Guest post written by Sharon Salomon, MS, RDN Bob Tam, chef/partner at Bitter and Twisted loves to eat. I know because I’ve eaten with him a few times. At a recent lunch along with two of his friends from work, he ordered ten dishes for sharing, four people and ten dishes! 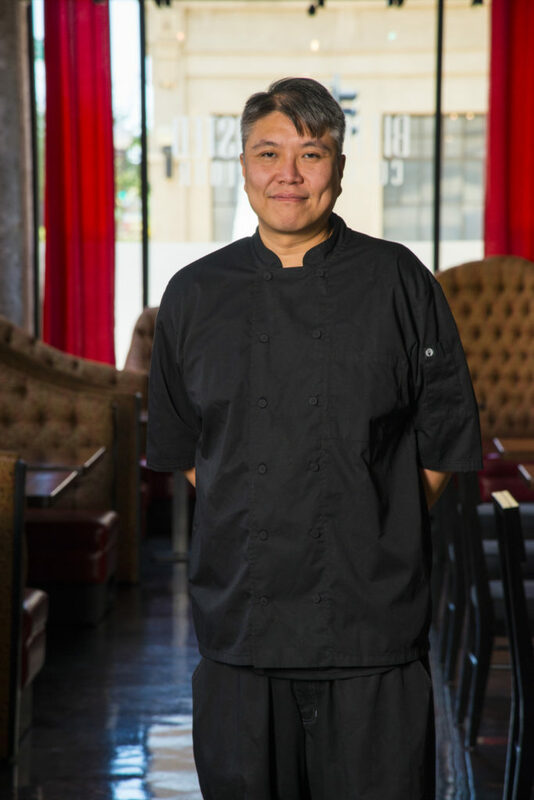 For Tam, who has done research and development for a lot of local restaurants in addition to his duties at Bitter and Twisted, tasting food around town at different restaurants is an important part of being a chef. He is intrigued by what other chefs are doing and appreciates their skills in transforming ingredients. This curiosity is what led Bob to consider partnering with Tacos Chiwas’ Armando Hernandez and Nadia Holguin for Devour. As a frequent visitor to Tacos Chiwas, Tam is very familiar with the nuances of flavors at the restaurant. “I love the food there. One day I was wondering what would happen if I took his carnitas and put them in a dumpling. I thought that would be an awesome taste. So we tried a pop up at Bitter and Twisted in July and it was a success.” For Devour, the three chefs are preparing cabeza (the meat from the head of a beef animal) dim sum pho. Tam describes the dish as a dim sum made with cabeza but that offers all the flavors you would expect in a bowl of pho. That might be the most unique dish served this year.